Just 17 more days to shop for gifts. Need just one more gift for a friend or family member, then this class is great for you. 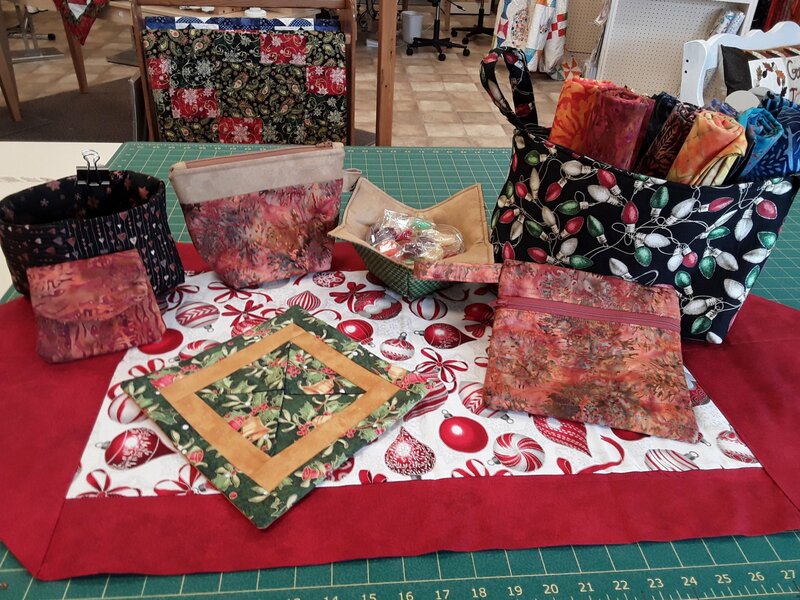 We will be making wallets, soup holder bowls, runner, basket, bin and zipper bags. You can make one or all of them.